Spiritual Warfare. The Great Controversy. This is an old and valid…. (though a tad simplistic I admit) Christian argument which is simply showing that the Modern regression in morality is founded upon both the acceptance of Atheist evolution and the rejection of Bible based theistic Christianity. Many Christians have been taught by ignorant and bigoted preachers that such reforms are evil…. when infact Christianity proper is not about oppressing sinners and infidels. That has historically been a great evil which resulted from the merging of Church and state…. Constantine…. etc… which was a deviation from what Christianity truly is… a voluntary association… not A political lobby for Power. This is not to say that Christians ought not to participate in the democratic process, but that they must take care to be on the side of Liberty and justice… not tyranny and oppression. They must seek to be ‘the salt of the earth’ not by despotic Laws…. but by Example and preaching Christian values and inspiring voluntary endorsement of their beliefs. 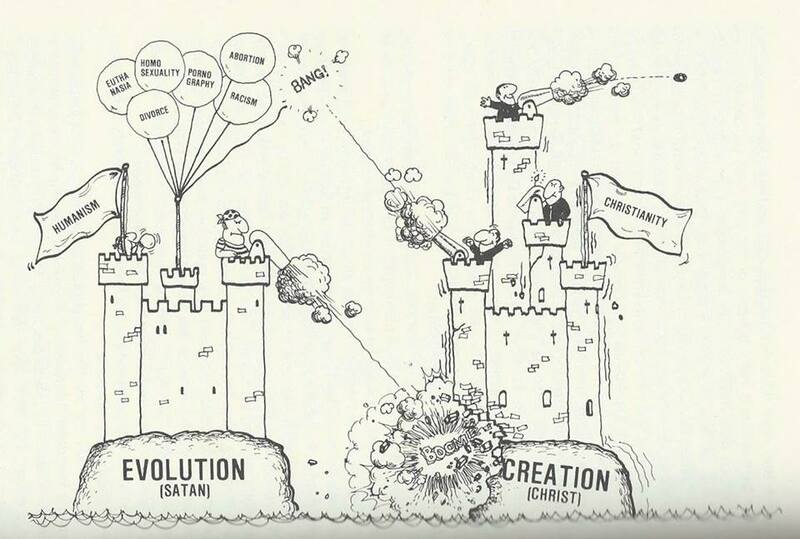 This picture also attempts to show Christians why they must be prepared to directly confront the False religion/ pseudo science of Evolution…. because it is the foundation of so many lies and Great evils. It was when I realised that Evolution was Bogus, that I became much more open to the truth of the Bible…. because The idea of God crating Mankind began to make much more sense.